My freelance insight career is up and running stateside (yay!) and now it's time to spring-clean my Crafty Escapism blog and twitter account in a little window between marketing and project work. What craft have I been working on recently? 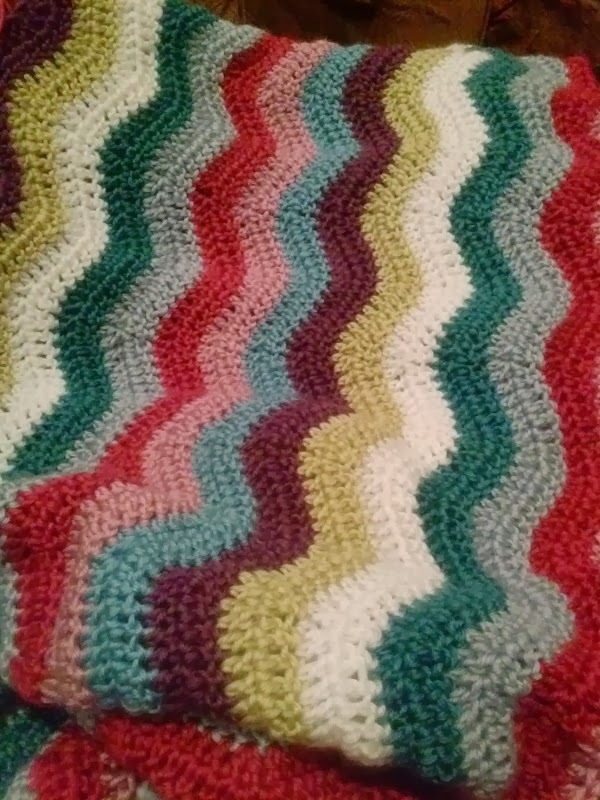 I am making my first blanket - inspired by the talented Lucy at Attic 24: her ripple crochet pattern using teeny 25g balls of stash yarn. Unfortunately I only have enough for a doll sized blanket and not a child's blanket so I have ordered almost equivalent colors, same weight yarn in cotton/acrylic instead of acrylic. We'll see how we go. I'm hoping it will be something that only I notice, as is often the way. Anyway here it is and I've applied it to the background of this blog.